Matosis does an excellent job showing the way in which the game picks up and throws down themes like it’s trying to be Hideo Kojima, a classic case of saying so much that the game ends up not saying much of anything. The tension of the combat and level design that arises from bullet sponge enemies and the spammy firefights that occur due to forgoing health packs in favor of shields. The vigor overlap, with multiple powers functioning in the exact same way and even questioning the vigor’s contrived presence in the game’s world. The poor design of a weapon upgrade system in a game that has a two weapon limit. The weapon doppelgangers that make some narrative sense but seem like lazy design. The loot system which has you eating hot dogs from trash cans. Matosis’ haymaker is his compelling case for the ending contradicting its own timeline; subsequently, resulting in a big ol’ tear in the plot. Matosis methodically breaks down Infinite’s chronology and shows how much of a mess this multiverse metaphysics has created for the game’s narrative. Matosis’ conclusion is inspired in that after so successfully deconstructing Infinite, he gives us an example of a game that effectively accomplishes its thematic ambitions through arguably superior gameplay and narrative and does what so many have claimed of Infinite: Pushes the medium forward. There’s a paradox in Matosis’ push for the mainstream game media to be tougher on a game like Infinite. Sure, the game doesn’t deserve the ego stroking that it received, but giving Infinite a lower score wouldn’t be enough to solve the problem that he’s describing. If we gave Infinite bad scores, we would receive less games that at least attempt to bring some thoughtfulness to the medium. The profit and loss sheets would call for more spunkgargleweewee to be brought to the table because gamers obviously don’t want smart games. But if we continue to laud flawed design and storytelling in our games nothing will change either. Moreover, mainstream journalists must be rushing through their playthroughs so that they can reach their deadline, not ideal conditions for facilitating the most in-depth investigation of a game’s worth. Matosis’ review provides us with a wide range of questions that go beyond Infinite and into the current logic of popular games coverage. A whole revamping of the way we evaluate games seems to be needed if we want to avoid the pitfalls of hype and novelty. This problem is a systemic one and one that could probably not be changed by the way we review a single game. Do you agree with Matosis or is he being too tough on Infinite? Let us know what you think down below. Watching that video made me play Oddworld Abe’s Oddysee. 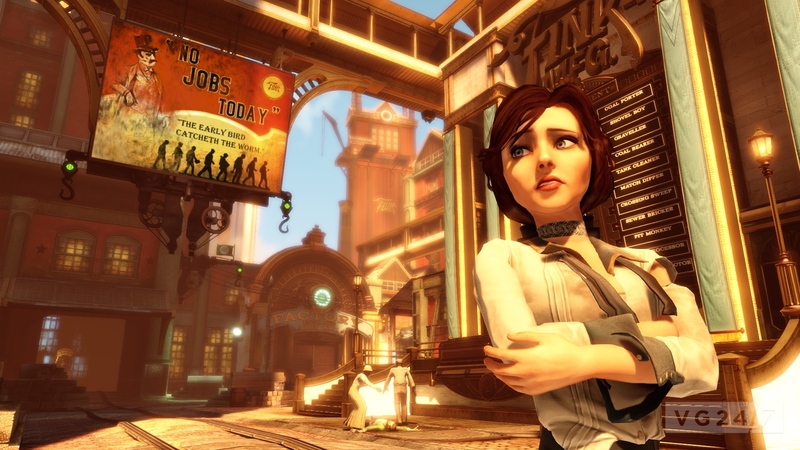 Previous Post The Games They Play: Should Mainstream Games Journalism Be Trusted?